Did you know that your name is also the name of a mineral? 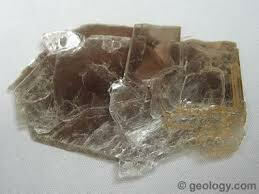 Click on the link below in order to see a picture of this mineral. Anyway, the moon is not a hollow body. It is made up of rock just like the earth. What is really amazing is how the MOON formed… a very, very long time ago, 4,500,000,000 years ago. In fact a HUGE ASTEROID traveling through the solar system collided with the planet that was to become Earth… the debris from that impact, GIANT in impact, formed the earth’s moon. There are some similarities between the moon and our earth. The surface of the moon is just rock, containing silica, alumina, etc... There are new evidence showing the existence of a thin atmosphere on the moon, containing some unusual gases. The inner core of the moon is iron-rich lava. Do you mean "what is the moon made of?" The moon is mostly basalt, a common type of volcanic rock also found on Earth. Most of the rock of Hawaii is basalt. The moon does have a metal core, like the earth, but it's much smaller than the earth's core, and probably frozen, while the earth's core is still partly molten. We think that the moon is made up of the same stuff as the earth. It has layers just like the earth: a core made of metal, a mantle made of rock, and a crust made of different types of rock. However, unlike Earth which is really hot, the moon is frozen solid so there are no volcanoes! The outer layer of the moon is called the crust and is covered in craters from meteorite impacts. Most of these craters formed a long time ago and are filled with black lava that has frozen solid. These are called "mare" which is the Italian word for "sea" because when the meteorites hit the moon billions of years ago, they created huge seas of lava. The rest of the surface of the moon is white and covered with rocks that are similar to granite, which is the type of rock that makes up the Sierra Nevada Mountains here in California. If you look at pictures of the moon, or look at it through a telescope, you can see the differences in color between the frozen lava (dark colored) and the rocks that are like granite (light colored).